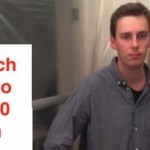 Kristoffer Koch From Norway Forgets About Minor $26 Bitcoin Investment And Makes $850,000! | What Is A Cryptocurrency? I read this article and found it very interesting, thought it might be something for you. The article is called Kristoffer Koch From Norway Forgets About Minor $26 Bitcoin Investment And Makes $850,000! and is located at https://www.whatisacryptocurrency.com/kristoffer-koch-bitcoin-investment/. This was the news story that got me looking more closely at cryptocurrency. When I realized that many people like this guy Kristoffer Koch had become millionaires by simply buying Bitcoin when it was worth only pennies per coin. And now it’s worth over $200 per coin, and is accepted at so many places online! I even recently had to accept Bitcoin for an online transaction with someone recently. They were from a part of the world where they don’t have access to Paypal as a payment processor, so Bitcoin becomes a very cheap and convenient option. 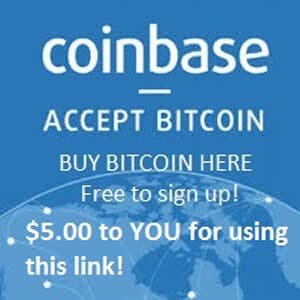 All I had to do was download my Coinbase Wallet for FREE and it allowed me to accept the Bitcoin transfer. It was a pretty cool being able to accept money with no fee involved in the transfer. I just gave my friend the wallet code and he send the money to it. It took about 5 minutes for the pending payment to show up in my wallet, and then about an hour longer for the Bitcoin to be fully in my wallet. 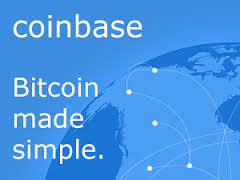 Then I verified by bank account with Coinbase which was very similar to the process with Paypal. They deposit a few cents to your account and you verify the amounts with them. Once your bank account is verified you can then sell your Bitcoin for USD and have it deposited to your bank at any time. It will sell for the going rate of BTC in USD and will apply a very small fee of 1% for the sell/transfer to your checking account. Transferring Bitcoin between wallets however is completely free! But I see how the process could be made faster. There is lag time between when someone initiates a payment to your wallet and the time that you receive it. Then once it is pending in your wallet, it then takes an hour or longer for the transaction to complete and for the funds to be irreversibly in your possession. And then when you sell it your Bitcoin via your Coinbase Wallet, it takes several business days (3-4) for the funds to be deposited to your account. But all in all, it’s not that bad! It’s mainly the time that it takes to fully transfer funds from one party to another that needs to be improved. But that is just a limitation of the first generation ‘blockchain’ technology that Bitcoin operates on. You may be asking yourself ‘what the heck is a blockchain?’.. well that will be a topic for an upcoming blog post, so I can go into greater detail. But to keep it simple right now, it’s basically an code / system for accounting all the transactions that happen on the public ledger. It’s what makes the cryptocurrency tick and operate as it should, allowing the consumer to move funds quickly, easily and for free. I did some research and found that all the other cryptocurrencies that ever came out after Bitcoin were based off of the same blockchain technology. But I did recently learn about a new cryptocurrency that has a second generation blockchain technology that allows for lightning fast real time transactions. And since Syscoin has only been on public traded exchanges, and is still trading around 10 cents per coin… the stars have aligned for second opportunity at becoming a cryptocurrency millionaire like Kristoffer Koch and so many others. It’s definitely good to be on top of the trends in business and finance and cryptocurrency just happens to be an emerging TRILLION DOLLAR financial industry! So you definitely want to be in on the next Bitcoin, and Capricoin has all the killer advantages to be just that with it’s second generation blockchain technology and encryption. This is only my first post here so keep an eye out for more education on cryptocurrency, Bitcoin and Syscoin coming soon!